The Edwardsville City Council has approved a one-year lease agreement for The Gardens at Southern Illinois University Edwardsville. 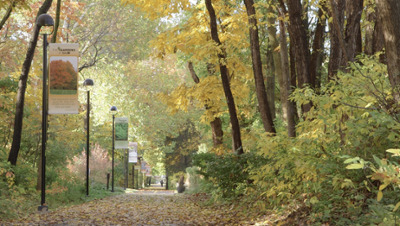 The agreement includes a $40,000 designation for fiscal year 2016-17 to maintain the 35-acre natural sanctuary located on the outskirts of SIUE’s campus. Discussion of a lease agreement began after funding for The Gardens was negatively impacted as a result of the state budget crisis. It will be reviewed annually, at which time the city will choose to either continue or halt the funding. According to the Edwardsville Intelligencer, the $40,000 of funding will come from the city’s community redevelopment fund. Reporter Cody King detailed the Edwardsville City Council’s approval of the agreement and future plans for The Gardens in an article posted Tuesday, Aug. 16.